The coverage probability and average length of calibration intervals based on the Classical method, the Dahiya and McKeon s method and the Nonlinear method are investigated. It is found that the calibration interval based on the Dahiya and McKeon s method has the best coverage probability and the shortest average length. 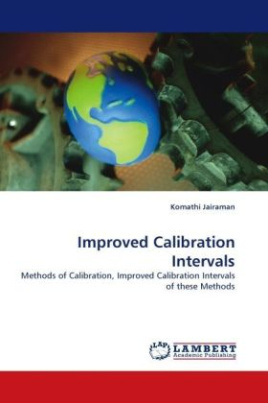 To improve the coverage probability of the calibration intervals, asymmetrical calibration intervals based on the above mentioned methods are proposed. Our simulation study reveals that asymmetrical calibration intervals based on the Dahiya and McKeon s method and the Nonlinear method note an improved coverage probability compared to the symmetrical calibration intervals based on these methods.